You’re about to watch a test firing of BAE’s experimental railgun demonstrating why the technology isn’t science fiction anymore. Load an aluminum projectile into the 12-meter barrel and one million amps will hypersonically propel it toward the target. The conflagration you’ll witness is due to the metal slug burning off in the charged air. In April, General Atomics will supply its own prototype so the military can identify which one is closer to making its way aboard the battleships of the 2020’s. Anyway, now you can go watch the video fully aware of what’s going on, try not to sit there with your mouth open. 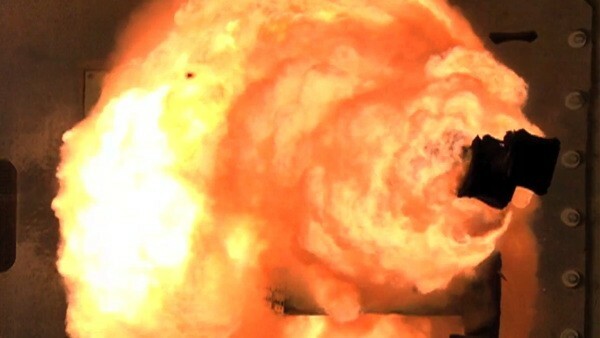 Navy test-fires weaponized railgun with explosive results (video) originally appeared on Engadget on Wed, 29 Feb 2012 12:46:00 EDT. Please see our terms for use of feeds.